Extraordinary fire performances from Edinburgh, Scotland. Our fire dancers entertain all around the world at Weddings, Corporate Events, Private Parties, Street Theatre Festivals, Juggling Conventions, Music Festivals, Birthdays and all kind of Celebrations. We are there to add that extra spark to your event that will make your SPECIAL day outstanding. 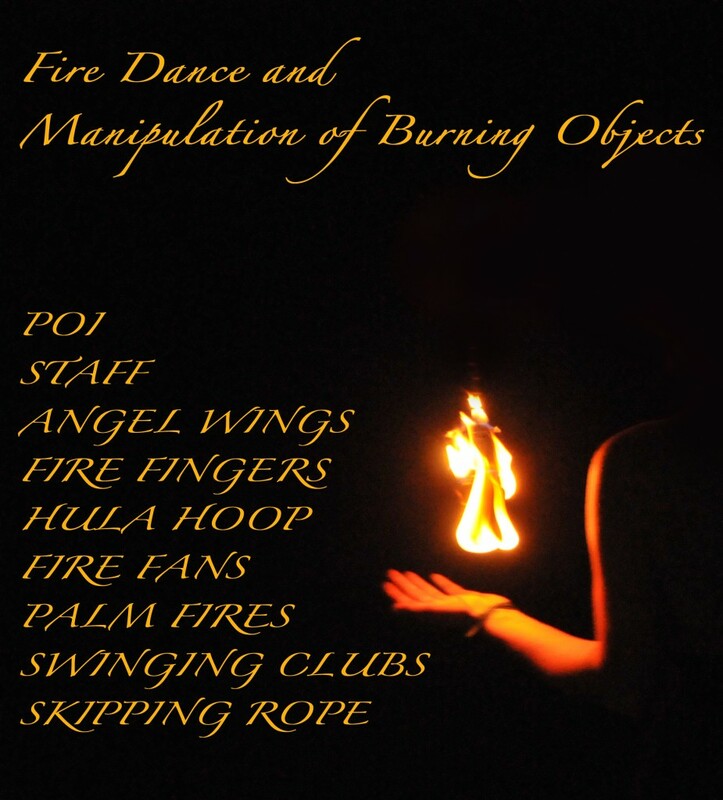 You can pick from shows ranging from 1-10 fire performers. Choreographed stage shows, Meet and Greet performances or backdrop fire entertainment are also available. We have a wide range of themes, and we also offer event and site specific entertainment. We are opened for bookings in Scotland, across the UK and around the world. Safety first, Delighters always works with a fire technician to keep your event safe and pleasurable. It also means less transition time between numbers so you can enjoy more flames. ALL FIRE PERFORMANCES INCLUDE AT LEAST ONE FIRE SAFETY ASSISTANT AND THIRD PARTY INSURANCE. Moulin Rouge themed performances, walkabouts, fire shows and circus acts with hula hoops, burning umbrellas, fire fans, fire swords and a wide range of fire juggling equipment. Optional stilt walkers are also available. Quality entertainment provided by skillful and fun circus performers. Jaw dropping entertainment for any event. Whether you’d like to welcome your guests, fill a garden with entertainers or have a set stage show. All shows can be adjusted to your desires, event, site, taste and needs. The duration of performance is a 25 minutes choreographed show OR 1 hour free play, both can be split into parts to be performed over 4 hours. Give us a theme, tell us a story and we’ll set it on fire. 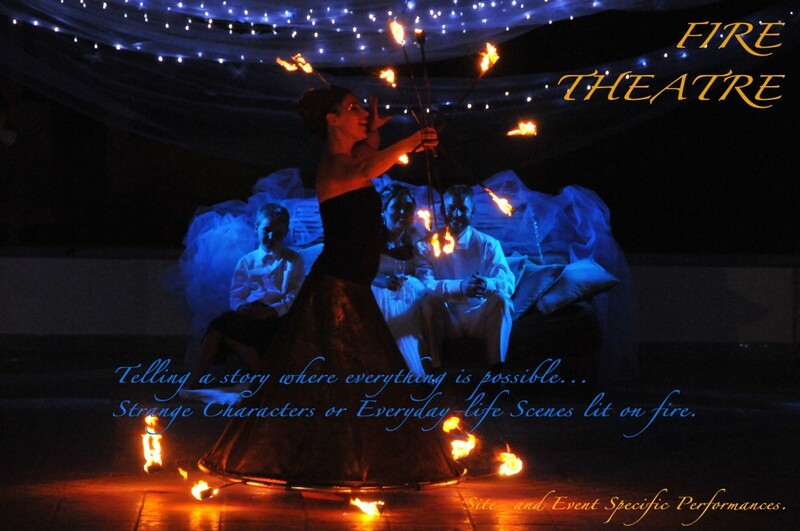 From telling the story of how the two of you met at your Wedding party to children’s stories, anniversaries and historical events we can create a unique fire theatre performance for your event. 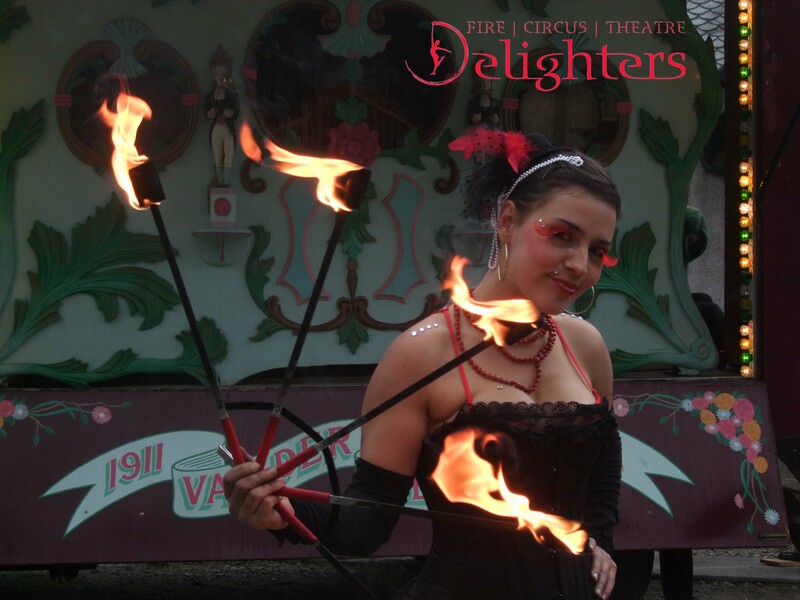 Delighters’ founder Jusztina has been performing with fire since 2000 and her shows entertained many around the world from India, Thailand, Egypt to Turkey, Norway, France, Hungary and the UK. She is based in Scotland but performs internationally.